Unique solvent based activator used with CPS Haze Remover HV & CPS Haze Remover Liquid. This solvent blend gives the best performance for ink haze removing over any other solvent in the range. 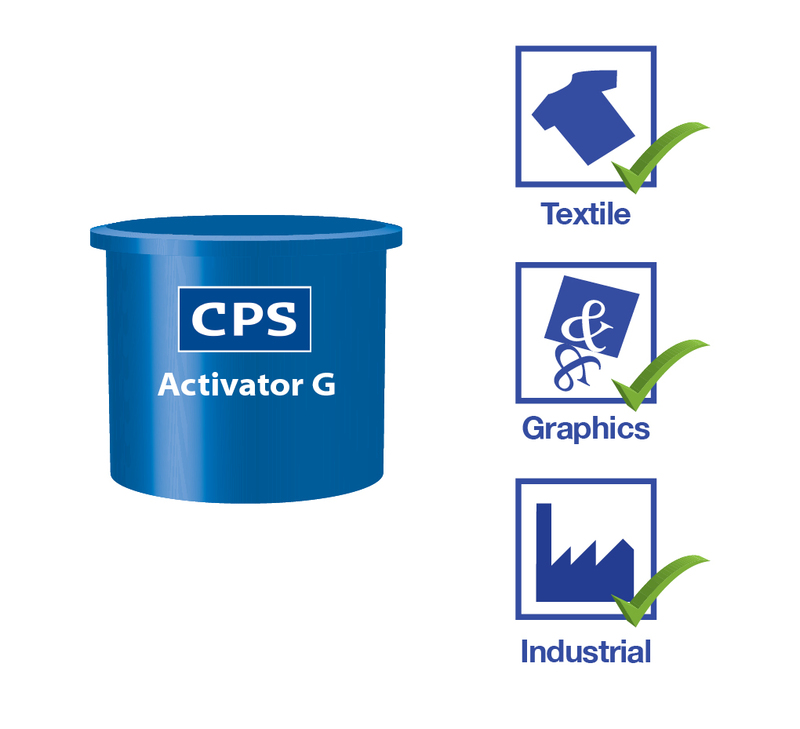 CPS Activator G has been designed specifically for use as an activator for CPS Haze Remover HV & CPS Haze Remover Liquid. 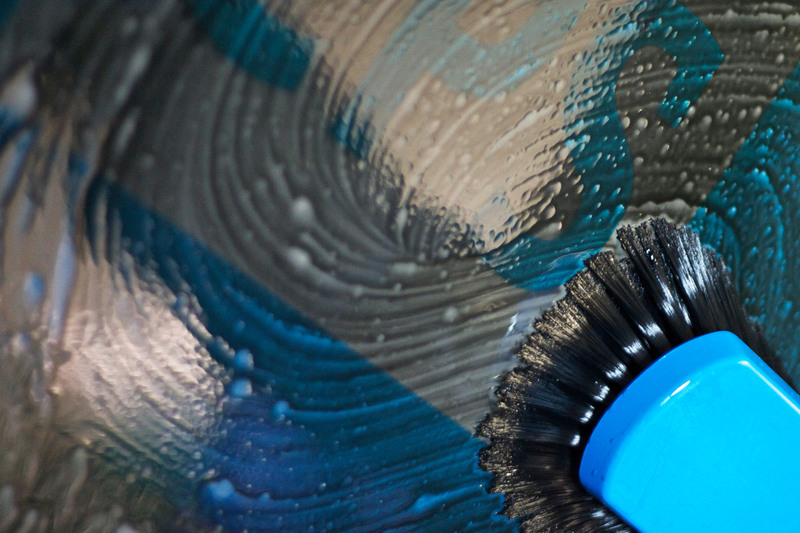 Unlike most solvents, it will not react with Haze Remover. For really stubborn graphic ink stains, CPS Activator G, in combination with CPS Haze Remover HV or CPS Haze Remover Liquid, will give the best results of any of the products in the CPS range. When CPS Haze Remover HV or CPS Haze Remover Liquid has dried, apply CPS Activator G to both sides of the mesh and remove with low pressure, followed by high pressure water. For really tough stains, leave on the screen for 5 minutes before removing. Flashpoint: 63°C (145°F) Sh CC (Setaflash closed cup). 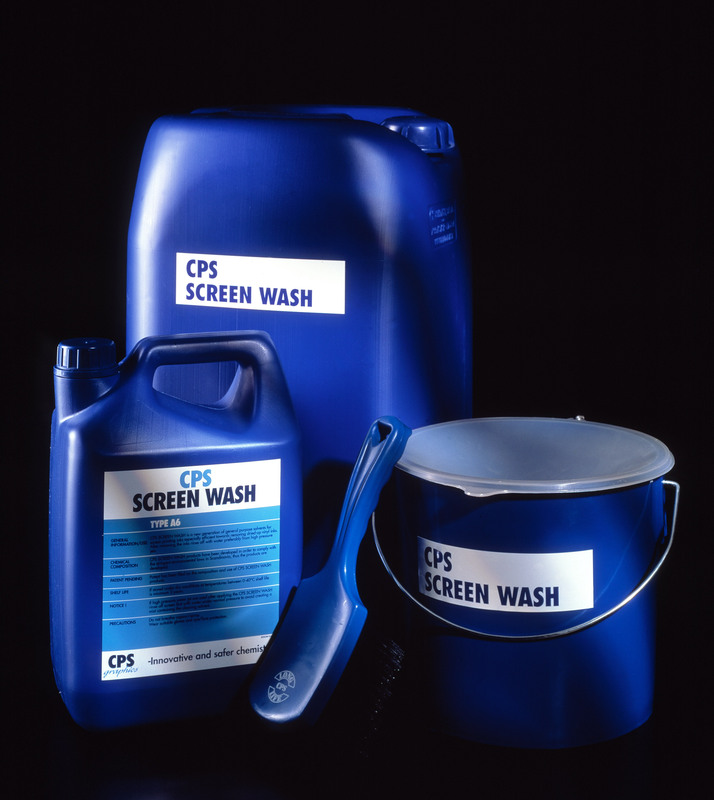 Standard screen wash products can react with CPS Haze Remover HV & CPS Haze Remover Liquid, as well as any type of caustic based stain remover. In some cases, the mixture can heat up and could damange the screen mesh. For this reason and to achieve the best cleaning results, CPS Activator G is the best choice to achieve maximum results.